I am rather fond of the custom purchase - or CP, if you will. This time I asked for one specific thing - more of that in a bit - and perhaps "a Sephora OPI polish...anyone will do, I just like them". That's about as specific as I got. So I was well and truly shocked then when I received 5 of the things! * Caffeine Fix - the darkest dark brown I have ever seen, richer than Essie's Little Brown Dress, and it has to be said, with a much better name. * Studs & Stilettos - wearing this now and this is Particuliere's darker toned cousin: stunning! * Eve-y on the Eyes - another rich tone, this time an opaque darkened violet. * Screen Test - a pinker and brighter version of OPI's I'm Not Really a Waitress. So the reason for the CP was to bravely get hold of a perfume. I use the word bravely as I have never tried this perfume before. The promotional copy talks of the "sexual scent of a man" - oo-err - and accords of vanilla, amber and fresh woods. I was utterly convinced I would love it. It's absolutely nothing special. It's not unpleasant but it's not AT ALL original. I say this because it is almost a dead ringer - in my mind - for Santa Maria Novella's Vanilla Cologne: an arrid vanilla that is not overly feminine but dripping with notes of cloves and amber. It's therefore neither too sweet nor too woody. It doesn't smell too old nor too young. The balance is all there and on paper it fits, but for me, the fact that it reminds me so much of another scent - and one I tried 10 years ago - leaves me a little disappointed. Couple this with the fact that the longevity is non-existent on my skin and it's a thumbs down. Yes, the advertising campaign is fun and the concept behind it is very interesting but you want my two cents? Well... I love Terre d'Hermes. Ha! Gorgeous nail varnishes though. This isn't my blog, but I adore it as much as I adore yours and I think you might enjoy it as well. You always give great recommendations, so I thought I would do the same for you! @Elizabeth - i know that one well :) stunning photos! oh wow i don't know what it is about blue nail polish that always makes me NEED it. opening night looks fantastic. i don't like Boyfriend either. i really thought i would but you said it perfectly there isn't anything special about it. Is the CP a service? Or is it a friend just buying it for you? 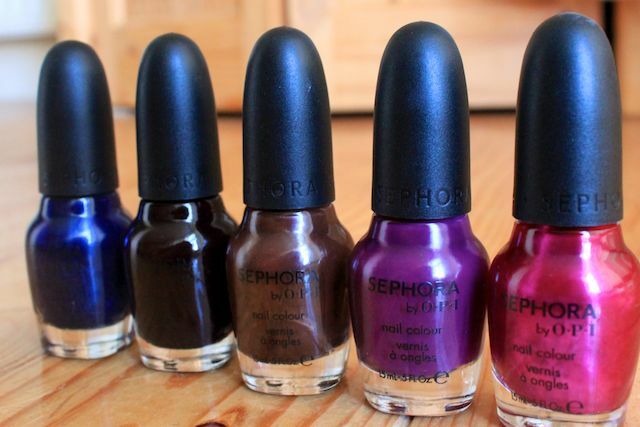 I love the Sephora OPI line, they colors are just so nice. I don't think I have any of those colors, I will have to cart myself to Sephora right now. I saw Kate Walsh talking about the perfume on TV and the way she spoke made me think it was just a gimmick. I didn't think much thought would be put into the fragrance. But that was just a feeling, sounds like my hunch was right. oooh i love those polishes. I've never tried a brown polish ever but caffeine fix has be intrigued. I really want to go out and smell Terre d'Hermes too now!! I love Eve-y on the Eyes a lot. It looks like a rich purple. Terre d'Hermes is such a gorgeous scent. I LOVE IT. I've been on a nail polish buying ban. You're ruining me! I'm intrigued over that caffeine fix...and I agree a much better name. Thanks for the heads up on the perfume...I hate when a perfume has an unoriginal smell. Have a great weekend! hehehe i want a boyfriend first then Terre d'Hermes..
Studs & Stilettos looks gorgeous! And Opening Night looks lovely too. Not sure about Caffeine Fix though..looks a little bland? I absolutely love all your blazers! I've stayed away from jackets because I felt stiff and boxy in them, but you have convinced to give them another try. And I will definitely be stopping by Sephora this afternoon for Studs & Stilettos! 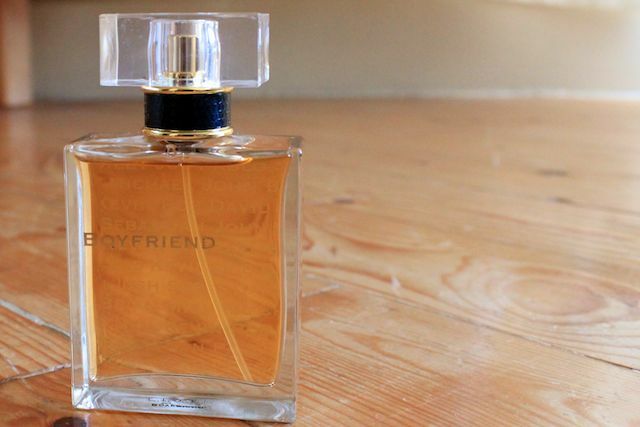 Absolutely agree with you on ho hum Boyfriend - and coincidentally, the day I smelled it in sephora, I walked away instead with a sample of terre d'hermes! Terre smells as good on me as on my husband. Bvlgari Black (another fave masculine) though, does better on my skin than his. Reminds me that fragrance gender is an arbitrary marketing tool - just like kate walsh's "sexual scent of a man". Eek, btw. Have you tried Hermes Ambre Narguile? If not, you must. I just love it for fall/winter...smells like sweet tobacco mixed with hints of warm amber, apple strudel, smooth vanilla rum, golden honey & cinnamon raisins. Truly unique. I got a sample of this perfume and loved how it smelled on my friend but on me t doesn't smell great at ll. Other than that I liked it better on my friend. Thanks for sharing your two cents.